Organic Tooth Powder LEMON will gently whiten the teeth and helps to stimulate our digestive system. Lemon is antiseptic and helps keep the liver/gall bladder healthy as well. We recommend alternating between the LEMON and PEPPERMINT for maximal oral therapy. 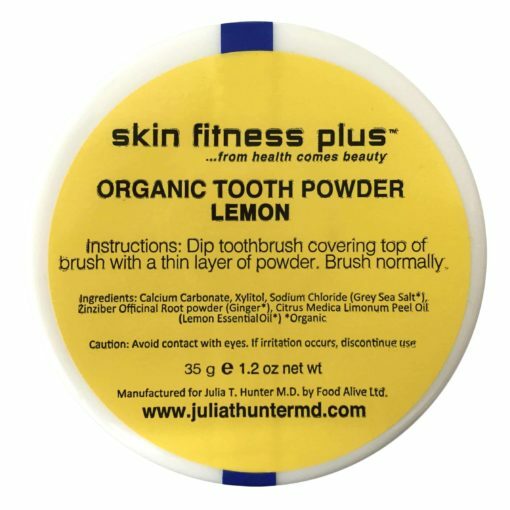 SKIN FITNESS PLUS Organic TOOTH Powders are made with dental, saliva, body, skin health MAXIMAL beneficial ingredients ( special chemical form of Calcium Carbonate, Xylitol, CORRECT Sea Salt, selected herbs), which help the saliva optimally protect and nourish the teeth and gums. 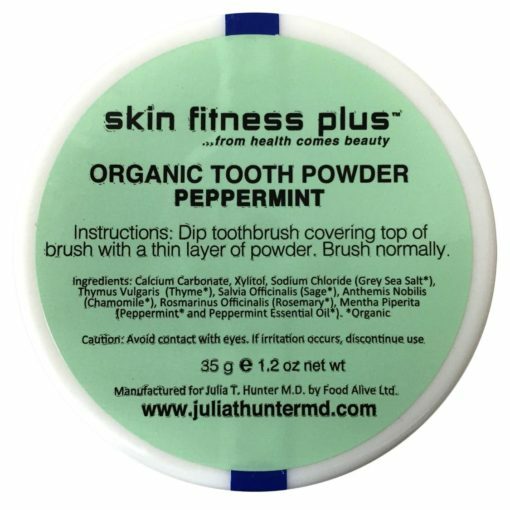 This tooth powder does not foam, there is no soap nor detergent as with dental products with lauryl sulfates. It will NOT destroy the protective natural micro-organisms/healthy probiotics and the biology of our mouth as do the detergent/ ingreds to avoid containing ones. Powder because requires no preservative and is MAXIMAL strength EACH time you use it vs. a liquid which loses strength due to oxidation, being a liquid. Calcium Carbonate provides a gentle cleaning. Calcium is also one of the main components of teeth and enamel and fills the dentine to help strengthen/repair/restore enamel. 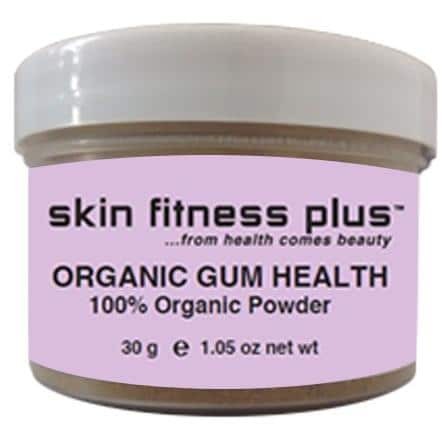 Xylitol encourages re-mineralization and helps bind and rid organisms particularly fungus, which promotes inflammation, plaque, periodontal disease, tooth decay, bad breath, white coating on the tongue and gum disease. Grey Sea Salt- it is the BEST source vs all other salts because GREY provides correct minerals and trace elements and is the correct and MAXIMAL strength chemical form to do so for the mouth, gums and teeth. It does NOT contain Glycerin which leaves a film on the teeth thus negatively impacting the enamel.